United Caps, an international manufacturer of caps and closures, today announced it has acquired the Spanish closure manufacturer Embalatap. 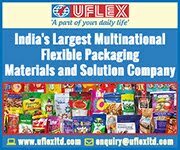 The acquisition acts to extend the United Caps product portfolio, especially as it relates to closures for edible oils typically used in the Southern European market. United Caps welcomes all Embalatap employees to the United Caps family and will maintain the existing manufacturing location. Embalatap, based in Sopelana, Spain, was founded in 1973. 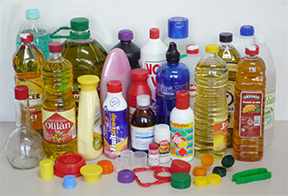 With a turnover of €5,6 million and 30 employees, Embalatap primarily specialises in caps and closures for edible oils and vinegar for the Spanish market. The company produces in excess of a half billion caps and closures annually. Embalatap offers a complementary product line that will now be marketed under the United Caps brand, such as its mono piece and hinge models for PET 29/21 neck finish as well as regional specialities like the 32 mm and 42 mm closures for edible oils. Innovative caps and closures for the food and drink industry are the core business of the Luxembourg-based family company United Caps. Its custom-designed caps and closure solutions have been one of the most sought-after solutions in the packaging industry for years. The company has experience growth in the high single digits since its 2015 rebranding, with a significant percentage of production being bespoke products that are uniquely designed to meet customer needs for exceptional appearance and ease of use both in the filling line and for the consumer.